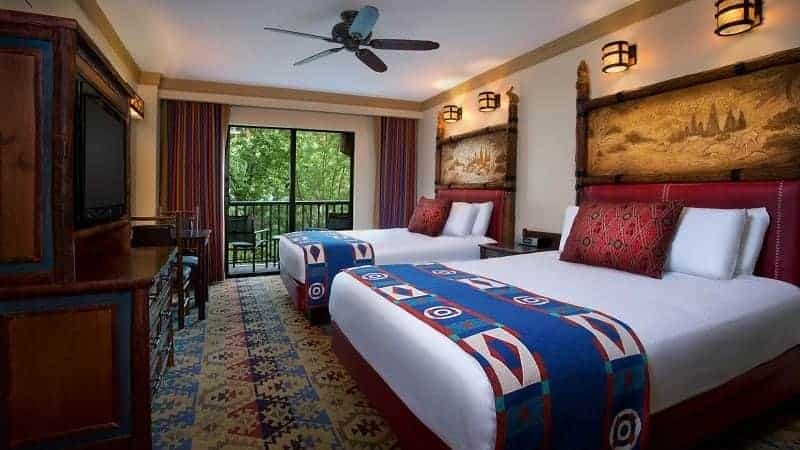 Disney’s Wilderness Lodge is the perfect escape from the hustle and bustle of a typical Disney vacation. 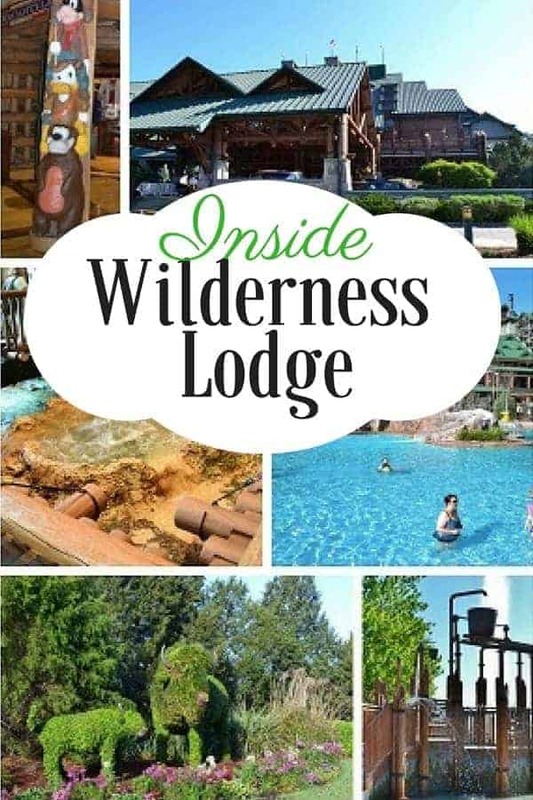 This deluxe resort was built to make you feel like you are vacationing in one of the great lodges of the American Northwest. You’ll see tall evergreen trees, a rocky landscape, waterfalls, river and even a spouting geyser! Situated close to the Magic Kingdom, another feature of this Deluxe Resort is that it is one of the few where you can water taxi straight into the park. As you approach the lodge, you will notice the attention to detail. Situated in a forest, the lodge takes advantage of the surroundings by using even the natural areas to make a statement. 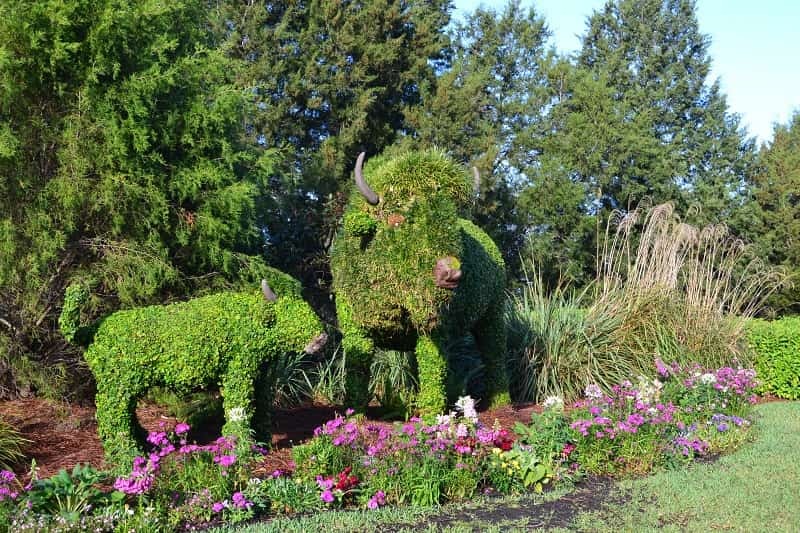 No, you won’t find real animals here, but you will find some pretty cute animal topiaries. You’ll also find a few Hidden Mickeys. Just ask a cast member and if they aren’t too busy, they’ll probably point them out to you. 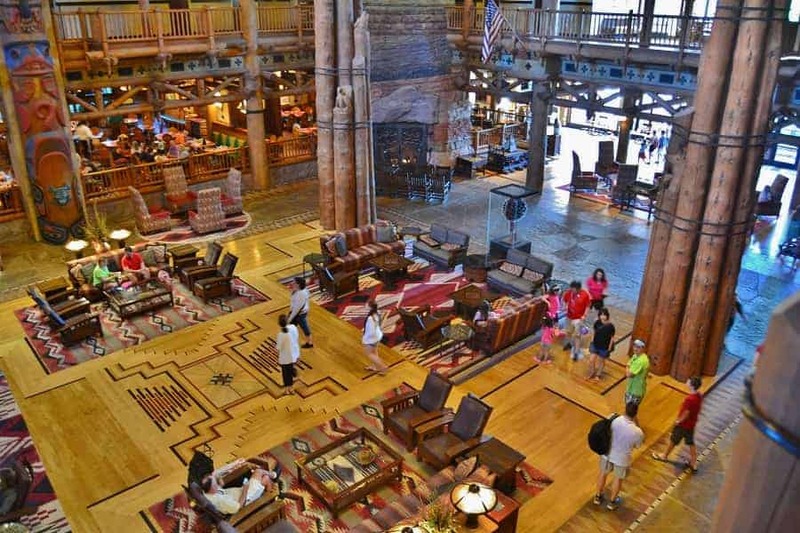 Inside Wilderness Lodge is just as awe-inspiring as the outside. The atrium is built to look like a great lodge with great wood details. You’ll find many Native American accents like totem poles, hand woven rugs, and headdresses. There is also a large stone fireplace and a mineral spring inside the atrium! Rooms are spacious and make you feel like you are staying in lodge with wooden accents and woven throws. Even the patterned carpet makes you feel like you are anywhere but Florida! The outside of Wilderness Lodge is just as relaxing as the inside. You’ll find a large pool with plenty of area to catch some rays and a small slide that the kids will enjoy. There is plenty of open space to explore on foot or by bike. 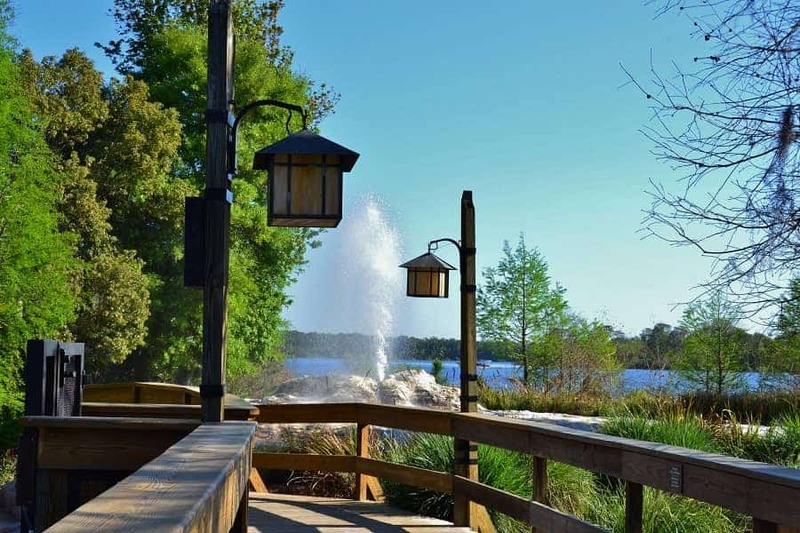 Take a walk along the trail behind the pool and you may be able to see a geyser erupt! There is just so much to do at this resort that you could easily fill several non-park days of your vacation with the different activities. 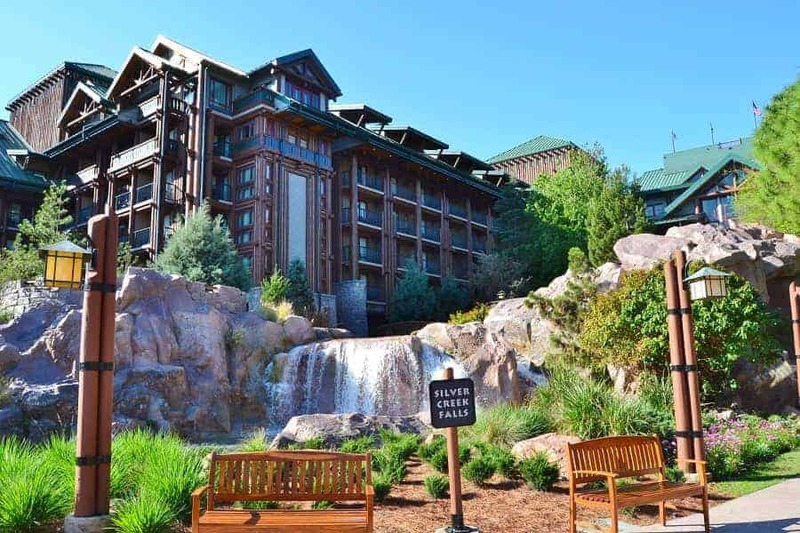 Have you stayed at Wilderness Lodge? What was your favorite part of the resort?